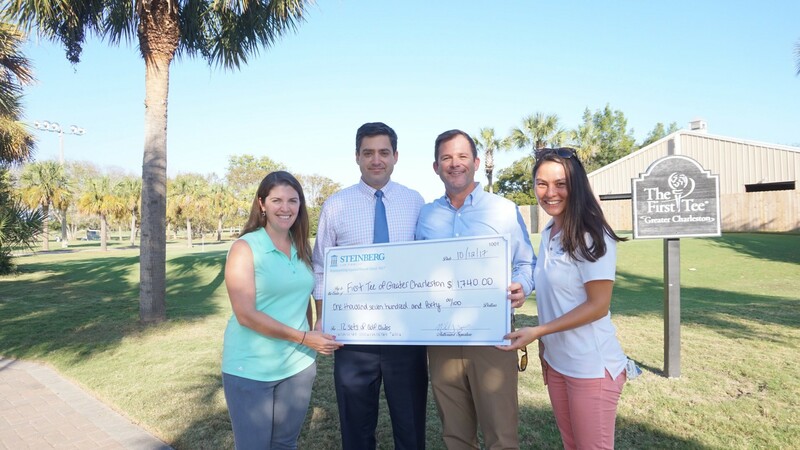 Charleston, SC (Law Firm Newswire) October 17, 2017 – The Steinberg Law Firm Community Fund is dedicated to supporting the local community and is pleased to announce another of its eleven 2017’s funding recipients: First Tee of Greater Charleston. The First Tee of Greater Charleston received $1,740 to purchase 12 sets of golf clubs and 12 scholarships for children in the South Carolina Lowcountry on Thursday October 12. The First Tee, founded in 1997, is a nationwide, well-known progressive youth development organization that aims to familiarize young people with the game of golf by introducing its core inherent values. The idea first began as a way to bring a low cost junior golf programs to communities that did not have them. The initiative proved to be successful and instead of only learning the rules of the game and how to putt, program participants were learning important life lessons. The program is available to youth in all of the U.S. states and in select international locations. In 2016, the program educated more than 5.3 million young people about integrity, respect and perseverance through the game of golf. The First Tee’s mission statement echoes what the founders intended the program to provide to young people: To impact the lives of young people by providing educational programs that build character, instill life-enhancing values and promote healthy choices through the game of golf. Applications for support are accepted throughout the year. Grants range from $200 – $2,500. ·	Not a political or lobbying organization.